What would be your reaction when faced with a car lockout? Will you run an Internet search for remedy? Or would you contact your car dealer? Being skilled and experienced in lock-related issues and their effective management, we suggest you do neither of these. There is no need to get your precious vehicle or its parts damaged, or pay hefty amounts on such trouble. You can rather seek the assistance of reliable automotive locksmiths for resolving this. Safe Key Shop is the leader among the top locksmith service providers in Houston, TX region. We have been serving the community with their lock and key-related issues for years. For fixing any problem with your vehicle’s locks, a Safe Key Shop professional must be your natural choice. We have the caliber to offer high quality automotive lock repair or replacement solutions. Today’s locks for modern vehicles are designed in a sophisticated manner, built with intrinsic parts, and have technology-based functionalities. Several latest security features provide ultimate protection to your vehicle. However, when any component malfunctions or any delicate element gives in, preventing you from accessing the vehicle, it will be really tough. Consider failure of a transponder key. You are stranded with an inoperable car. 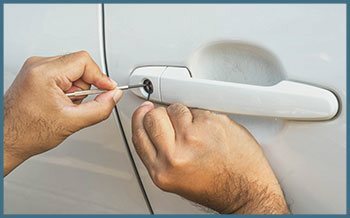 During such times, it is necessary to call for assistance from a reliable automotive locksmith with comprehensive knowledge of locks. Only automotive locksmiths with experience will be able to resolve such issues under short duration. Here’s where Safe Key Shop helps you. A jammed lock, lost key, or broken key in lock- whatever the issue, we have the skill and equipment to offer immediate solution. We have 24/7 mobile locksmith team that responds to clients’ calls at any time and reach any location in Houston, TX region in the fastest manner possible. Regardless of the type of the vehicle and model of the lock, we have the sufficient tools and skill to craft new keys on the spot. For problems such as ignition fault, our automotive locksmiths are experienced in providing instant solutions. If you wish to improve the security level of your vehicle, we can arrange to replace the traditional locks with contemporary high-tech security locks. Just call Safe Key Shop for unlocking your car trunk without damaging any parts. Keep Safe Key Shop in mind for availing automotive locksmiths service in Houston, TX.